If you are interested in seeing how many South Africans really live, a township tour is the way to experience this. At first you might see this idea as a bit daunting, perhaps even as potentially uncomfortable. However most people who take such tours tend to come away from the experience seeing it not only as positive, but as one of the highlights of their whole trip. Townships have their issues of course ”“ overcrowding, poverty, lack of water and so on ”“ but they are also home to vibrant communities and individuals who are happy to show you some of their lifestyle and tell some of their stories. You might meet Golden, the man that makes a living from making flowers out of discarded aluminium cans, or eat at a restaurant run by a women’s cooperative. Maybe you could have a short drumming lesson, or ask Lily to teach you how to cook African dishes? Or perhaps you could nip into Shepherd’s shack and see his amazing woodcut artwork, then head to the shebeen for a drink and some great home-cooked food. If you're in Port Elizabeth's township, why not come and see some of the good work that our charity, The Tribes Foundation, has been doing here? In 2012 we funded a wonderful new project to get permaculture gardens going near primary schools. This not only encourages children to school (as they get a good meal, grown at school!) but is also training their parents how to do this kind of gardening too. Whether you have a couple of hours or a whole day, we can show you parts of South African towns which many travellers simply don’t get to see. If you want to talk to someone who has done a South African township tour before, Amanda Marks can speak from personal experience. 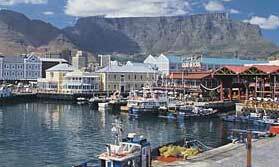 There are townships throughout South Africa, but some of the best places to take a tour which we can recommend are Cape Town, Stellenbosch in the Winelands, and Port Elizabeth further east at the end of the Garden Route. You can do this at any time of year. There are good and bad township tours. We feel strongly that such tours should be undertaken in a sensitive manner, so we'd advise booking in advance with us for this experience. That way we can arrnge this through someone who can do it right.